Ready or not, the Digital Transformation Economy (DTx) is here, and convergence of mobility and cloud have led to a digital explosion. Now that users have online access, anytime, anywhere, and across uncountable devices, they are generating worlds of data. In fact, premier IT market analysts, International Data Corporation (IDC), predicts that by 2025, Earth will create 160 trillion gigabytes of it! So, for enterprises to compete in the digital economy of today while also future-proofing success, they must effectively leverage and manage data, now. Eliminating paper-based processes is a good start. Digitally transforming organizations, so information or content is easily searched, retrieved, and assembled makes processes more straightforward to implement, more cost efficient, and highly beneficial for employee productivity and customer experience alike. Put simply; the digital paper cut is about slicing into waste, for improved digital coherence. However, simplicity is often synonymous with lesser value. Often complex functionality is what attracts CEO interest and investment dollars. But by understanding what the benefits of digital transformation and paperless strategies can bring to people, processes, and businesses, we open a new world of opportunities. Moreover, this is not about re-engineering. Each process, every channel, or unique model in your business can be a revolutionary digital step. Eliminating the idea of technology boundaries enables us to re-imagine each aspect of the business’ entire purpose and value-generation chain. In fact, the transition starts with each of us, as consumers and producers, in each interaction we have. Being open to digital transformation and paperless simplicity will unlock previously unseen business model possibilities. Also, as innovative technologies emerge—such as Cognitive/Autonomous development, Robotic Process Automation (RPA), Virtual Collaboration (AI/AR), and IoT—it is critical for large organizations to have agile and adaptive processes for the next-gen-prepped customers. This is regardless of whether your customers are B2B or individual consumers. Remember, too, that just as important as the volume of data, is what companies do with that data. 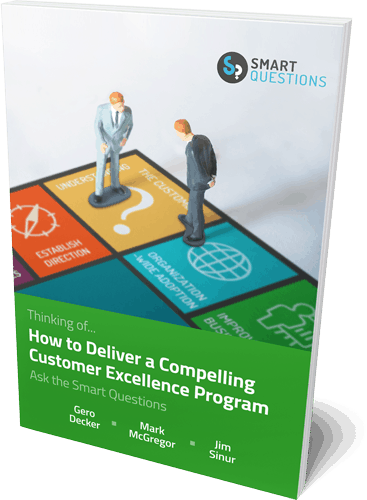 Companies must leverage information for heightened customer experiences, like utilizing Customer Journey Mapping (CJM), to improve day-to-day decision making, and to continually innovate. In a special interview excerpt with Brandon Gerig, Veritas Process Design Team Manager, we learn how this multi-billion dollar company, and Gartner Magic Quadrant industry leader, has benefited from digital transformation and paperless simplicity, for better decision management. “Let me cut to the chase; we were drowning in processes and documentation. We faced enormous struggles with business stakeholders at each of our six unique support sites because they were working from their own ‘best practices’, which often contradicted or conflicted with the other support sites globally. There were also multiple process repositories and a sea of PDFs. “Through Signavio, we were able to reduce our repositories from nine to one, and we were also able to take over 800+ PDF documents and visualize them. We now have just 75 PDF documents and around 65 BPMN visualizations. *Read the Veritas customer interview. *Discover the Veritas success story. Digital transformation is the new reality—it is happening whether companies realize it or not. Regardless of the type of business, the need to digitalize core business processes is imperative to remain competitive. Although the total elimination of paper may not be feasible for every business, even a small reduction may yield cost savings and increased efficiency. It doesn’t matter if your company is in the startup phase or has developed well-established policies and procedures, there are always advantages to reducing paper usage. Here are 5 reasons why going paperless—or at least ‘less-paper’—can benefit businesses of all sizes. Improved productivity. Quickly locating and understanding information can enhance your company’s efficiency and professional image. Spending time hunting through piles of paper slows down response time in an age when most answers are only a few keystrokes away. Reduce operating costs. Physical storage costs are one of the main reasons to go paperless. You can eliminate a considerable amount of storage space and re-purpose that space for more productive use. Easier Collaboration. Going paperless also increases your ability to collaborate internally and externally. With online signature capabilities or consent, you no longer have to wait. Just click, and move on. Save yourself the time and the frustrations of paperwork. Increased security. By going paperless, you can better adhere to new data compliance requirements, like the General Data Protection Regulation (GDPR), by restricting access for any file to specific users only. Multiple backups can also be created, on and offsite, while data recovery and protection are significantly improved. Environmentally sound. In our ecologically-conscious society, it is essential to consider the business implications of your environmental impact. Going paperless dramatically reduces your organization’s consumption of valuable resources. This also boosts your ecological status with the public and clients. Simplicity is the new super-chic shade of black when it comes to technology and work. Bottlenecks, organizing/re-organizing, and searching are a lot easier when you have digital documents. Keyword searching and using metadata on an intranet tool or management system allows you to find anything, nearly instantaneously in comparison to sifting through paperwork. But the top five reasons to go paperless are only the beginning. With the right process management system, going paperless can provide a substantial boost to your organization. 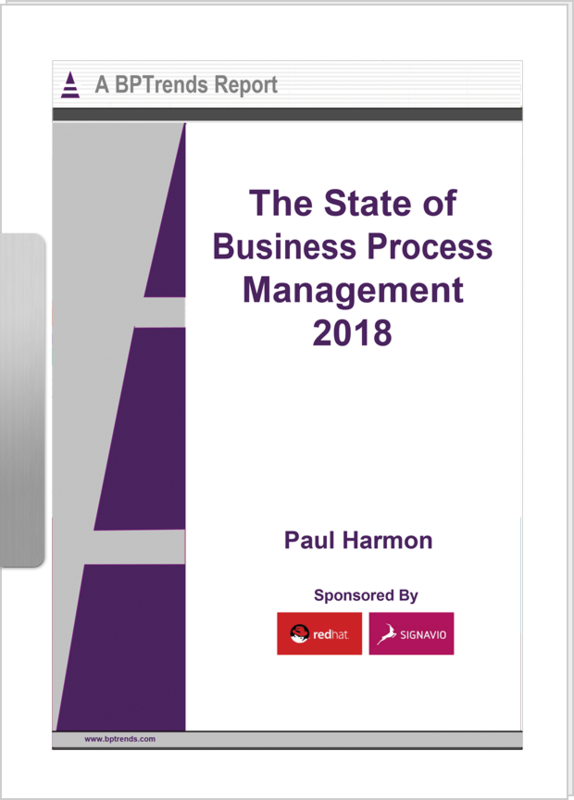 Process management can improve productivity, collaboration, security, as well as reduce costs and add further simplicity to your heavy workload… all while being considerate to the environment! Discover how Signavio can lead your business to digital transformation with the environmentally super-friendly Signavio Business Transformation Suite! Try it for yourself by registering now for a free 30-day trial. Record-Breaking Signavio Wins Another “Aragon Research Hot Vendor™” Award in Customer Journey Mapping!